We are Stefano & Melissa Mosi, founders of the original La Collina Bakery on Cedar Hill Rd., which was started in 1997. We grew this business from a small family operation to a large wholesale company of more than 100 employees. We eventually sold our shares to business partners and moved to Maui, HI in 2007, where we brought the first gelato store to the Island. Our business grew to include 3 retail stores and won numerous awards. In May of 2014, we sold our businesses and relocated back home to Victoria. Our newest venture is an incarnation of all our experiences, it incorporates gelato, bakery, coffee,breakfast & lunch. Stefano’s family history in baking dates back to the 1920’s in Italy, where his Grandparents on both sides of his family had Pasticceria’s. His parents met at the family bakery and eventually immigrated to Canada in 1976 when Stefano was 6 years old. Together, with Stefano’s Aunt and Uncle, they started the Italian Bakery and brought many of the first Bakery products that are now ubiquitous in Victoria like croissants,brioche, and other Italian pastries. Today the Italian Bakery and Ottavios is owned and operated by Stefano’s cousins. 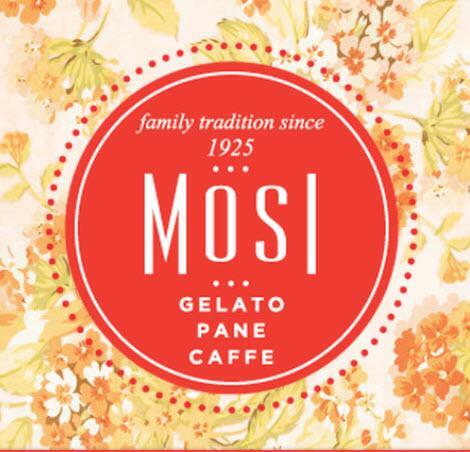 MOSI Bakery-Café & Gelateria promises to combine the best of Italian food and local produce.